The METRO SPEZIAL TW3-P335 by PFAFF is a Single Needle Cylinder Arm Walking Foot sewing machine designed to sew premium quality stitching on leather, vinyl, upholstery fabrics, canvas and synthetic materials. This machine excells in sewing leather goods such as high quality bags, luggage, gun holsters, belts and other irregulary-shaped items made of heavy weight materials. This machine is made in the same factory that made the renown PFAFF brand of heavy weight machinery using the same German engineering, design and fabrication parameters. Excellent quality, construction and sewing action. 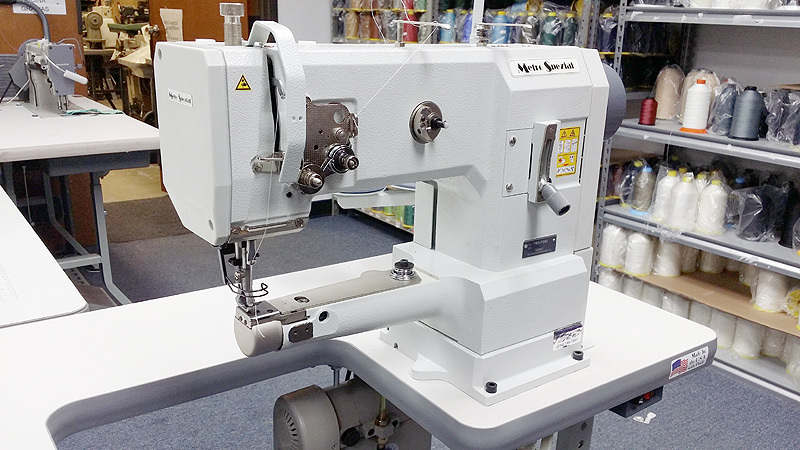 This machines offers you the absolute best value for high-end leather sewing.